The Christmas season is the time of year when the whole world becomes just a little bit more whimsical and beautiful. Everywhere you can see the festival spirit and the holiday magic with their unique and often fanciful Christmas markets. These markets are time-honoured traditions — some have been around for centuries — that make the historical magic of Christmas feel a bit more present-day. 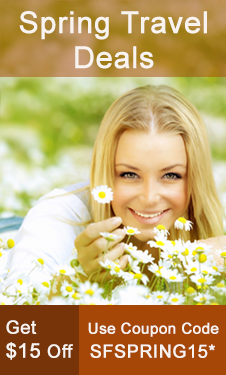 Vienna is known as one of the most romantic cities in the world. The city transforms into a holiday haven during winter months and hosting several traditional Christmas markets around picturesque spots. 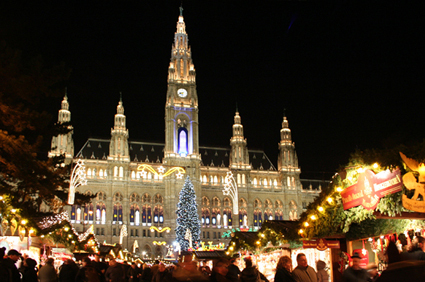 Vienna held its first, Dezember Marktes or “December Market” in 1294, kicking off a tradition that carries through to today’s Christmas Market. The markets open in mid-November and host vendors selling handcrafted decorations, artisanal beeswax candles, twinkling trees and much more. 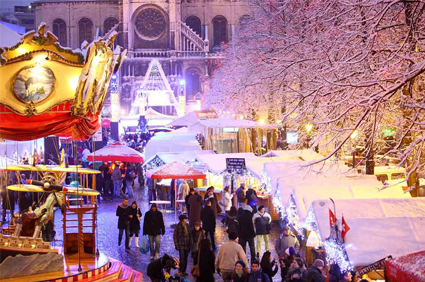 The beautiful Christmas markets in Brussels has more than a mile of shops, stalls and chalets with gifts, food and drinks, ornaments, and artisanal arts and crafts. The Montreux Noel team equipped the market with an authentic Swiss chalet serving culinary delicacies from Switzerland and the Rue Devaux will be a big part of the action, hosting a number of participating shops, vendors, and outdoor eating areas. This winter season Toronto will once again celebrate the magic and romance of a traditional Christmas at Christmas Market in Toronto. 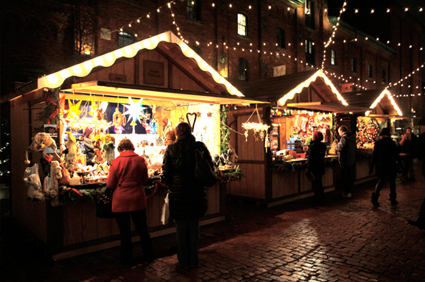 Toronto Christmas market will be inspired by the Old World and influenced by the New World. This free annual event captures all of the tradition, heritage and charm of a European Christmas Market, while showcasing hundreds of unique and local handcrafted products. In Prague a giant Christmas tree in the Old Town Square is the attraction center point of Prague’s festive fun. 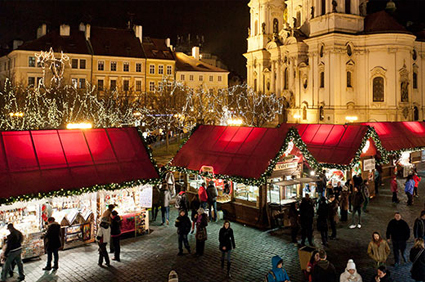 The main Christmas markets are to be found at the Old Town Square and Wenceslas Square and there are smaller ones at Namesti Republiky and Havelske Trziste. All stalls are beautifully decorated in festival theme and they sell everything from Bohemian crystal and Czech marionettes to braided pastries and gingerbread. 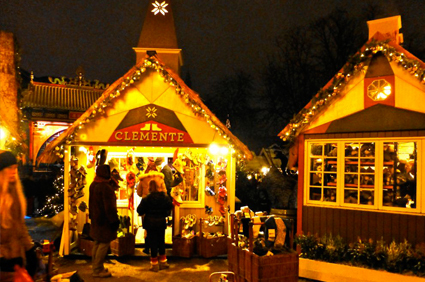 Tivoli Gardens is one of the famous amusement park in Copenhagen and it hosts famous Copenhagen’s Christmas market. The Christmas trees are festooned with lights, there are almost four miles of colourful stalls and the little ones will be able to see how the residents of Nissekobing spend their time. This entry was posted on Wednesday, December 24th, 2014 at 12:21 pm	and is filed under Uncategorized. You can follow any responses to this entry through the RSS 2.0 feed. You can leave a response, or trackback from your own site.